The M109 155mm Self-Propelled Howitzer entered service with Regular Army field batteries in 1968, initially with Canada’s NATO Brigade Group. 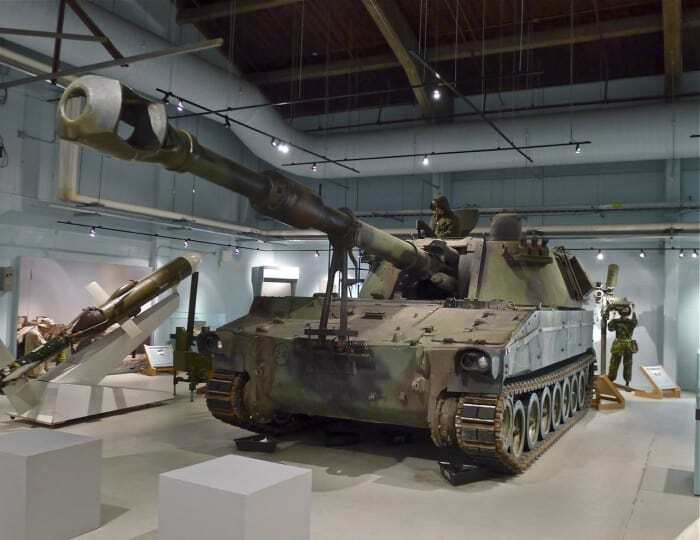 Light, parachute and Reserve field batteries in Canada retained L5 and C1 105mm howitzers. The M109 was designed to fight and survive on a high intensity mechanized battlefield against the threat posed by Soviet and Warsaw Pact forces in Europe during the Cold War. Initially equipped with short barrels, the guns went through a series of rebuilds and modifications over the years, culminating in the M109A4+ version. This gun had better protection against nuclear, chemical and biological weapons and the longer barrel improved range by 4,000 metres. The M109 was retired in 2005.